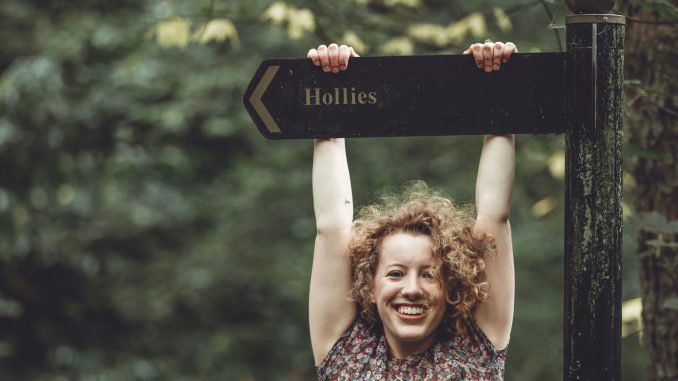 The journey started back in the spring when London based alt-folk musician Hollie Haines kick-started an eight-month release campaign leading up to her new album ‘Letters To My Last Love’. April saw the release of the first track ‘Except For You’, a floaty love song with sparkling cello and delicate vocals. Since then a new track has been released monthly, each representing a unique stage of healing after losing love and covering the emotions of loving, losing, hurting, missing, healing, letting go and loving again. We’re now on our final chapter with the latest single, ‘Mine’ which XS Noize can exclusively reveal today. Hollie Haines is an alt-folk singer-songwriter based in London. She performs with powerful and honest lyrics, teamed with delicately crafted melodies. After spending three years in Leeds studying music, she moved to London to make her mark on the capital’s music scene. After touring Europe and with another string of live shows on the way, Hollie brings music with authentic and honest lyrics which makes her instantly relatable and when performing live. Hollie pairs her deeply emotive lyrics with quips and anecdotes, about the people and stories that have inspired her music, to give a captivating performance. Haines has worked with a number of musicians and producers on this album, one of which is award-winning producer Lauren Deakin-Davies. Hollie says, “working with Lauren was amazing, it’s probably the best recording experience I’ve had. She perfectly translated everything I wanted into the music and she helped make ‘Mine’ absolutely perfect”.